Born 1750 in Suffolk, England. Married on 3 November 1771 at Bromeswell, Suffolk ELIZABETH DOWNING, died 1788 at Trimley St Mary, Suffolk. Died 1809 at Trimley St Mary. Born 1773 at Trimley St Mary, Suffolk, England. Married on 7 March 1797 at Bramford, Suffolk LUCY KENT, born 1779 at Nacton, Suffolk. Residence 1806: Ipswich, Suffolk, England. Died 1816 at Trimley St Mary. Born 15 August 1797 at Bramford, Suffolk, England. Married on 7 November 1822 at Earl Soham, Suffolk CHARLOTTE WOODS, born 13 October 1798 at Earl Soham, died 26 June 1875 at Earl Soham. Died 1839 at Earl Soham. Born about 1823, baptised 6 July 1823 at Earl Soham, Suffolk, England. Married in 1847 at Woodbridge, Suffolk SARAH FAIRHEAD, born 1824 at Shottisham, Suffolk, died 1889 at Wickham Market, Suffolk. Died 7 April 1891 at Wickham Market. Born August 1847 at Shottisham, Suffolk, England, baptised 8 August 1947 at Shottisham. Married on 18 April 1875 at St Luke’s, South Kensington, London ALICE ELIZA SIMPSON, born 18 April 1851 at Southwold, Suffolk, died 1 August 1919 at Addington, Christchurch, Canterbury, New Zealand, buried August 1919 at Addington Cemetery. Died 18 March 1880 at Mile End Old Town, London, England. Born October 1875 at Chelsea, London, baptised 24 October 1875 at St Luke, Chelsea. Married 6 February 1908 at Christchurch, Canterbury JANET MARY MEIKLEHAM, born 8 February 1880 at Christchurch, died 1 May 1959 at Christchurch. Died 15 October 1925 at Christchurch, buried 17 October 1925 at Sydenham Cemetery, Christchurch. Born 26 January 1877 at St Giles in the Fields and St George, Middlesex. Married 18 April 1900 at Oamaru, Otago ELIZABETH KATE KEARNS, born 30 August 1878 at Oamaru, died 27 March 1949 at Greymouth, West Coast. Died 26 March 1961 at Christchurch, Canterbury, buried March 1961 at Greymouth Cemetery. Source: New Zealand, City and Area Directories, 1866-1954. Born 20 July 1900 at Oamaru, Otago. Married 30 December 1924 at Greymouth, West Coast FLORENCE MARY STUBBS, born 20 May 1894 at Christchurch, Canterbury, died 1984 at Malvern, Worcestershire. Died 8 December 1950 at Christchurch. Born 9 December 1901 at Linwood, Christchurch, Canterbury. Married (1) 24 January 1932 at Dartford, Kent IVY ROSE WILLIAMS (known as Rosa), born 3 April 1905 at Medway, Kent, died 13 May 1965 at Northwood, Middlesex. Married (2) 1947 at Hendon, Middlesex BEATRICE ROSE CURTIS, born 25 January 1911 at Willesden, Middlesex, died 1989 at Poole, Dorset. Died 14 March 1964 at Eastington, Gloucestershire. Born 27 June 1906 at Ashburton, Canterbury. Married 18 December 1928 ARTHUR JOHNSON, born 3 July 1900 at Oldham, Lancashire, died 9 March 1979 at Christchurch, Canterbury. Died 29 May 1978 at Christchurch. Born 30 May 1910 at Ashburton, Canterbury. Married 1939 at Ashburton RITA McELREA SMALLBONE, born 3 November 1910 at Christchurch, Canterbury, died 18 December 2017 at Ashburton..
Died 12 April 1991 at Ashburton. Born 28 June 1911 at Ashburton, Canterbury. Married 24 April 1935 JOHN BARRETT BLUETT, born 6 May 1907 at Christchurch, Canterbury, died 30 November 2000 at Fendalton, Christchurch. Died 3 April 1963 at Greymouth, West Coast, buried at Greymouth Cemetery. Born 1878 at Stepney, Middlesex, baptised 1 June 1879 at St Thomas, Stepney. Died 26 June 1963 at Christchurch, Canterbury. Born 1 February 1880 at Mile End Old Town, London, England. Came to New Zealand with his parents in 1884. Married on 7 July 1908 at Addington, Christchurch MABEL EDITH HANCOCK, born 17 September 1884 at Christchurch, daughter of Edward Barnett Hancock (1845-1923) and Mary Ann Perrett (1855-1904); died 18 March 1946 at Takapuna, Auckland, buried 20 March 1946 at Waikumete Cemetery, Auckland. 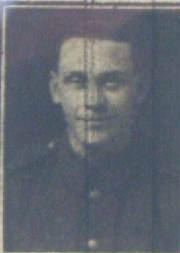 Died (killed in action) on 9 April 1918 at Givenchy, France. Buried at Brown’s Road Military Cemetery, Festubert, Pas de Calais, France. HUBERT SYDNEY TURTILL: A sergeant in 422 Field Company, Royal Engineers, he has a rich part in New Zealand sporting history. The London-born Turtill played just one test for the All Blacks, against Australia in Dunedin in 1905. Despite being regarded as one of the best players on the field, he never wore the black jersey again. Two years later he was a member of the All Golds team that headed to the UK to master the game of rugby league. He signed with St Helens in 1909, dying on the Western Front in France while serving with the British Armed Forces. He is buried at Brown’s Road Cemetery, Festubert, France. Hubert Sydney Turtill had the nickname “Jum” bestowed on him while he was a child as he was somewhat plump. “Jum” came from the common nickname for an elephant, Jumbo. He soon shed his baby fat and became a rugby footballer with a fine, athletic build and playing as a fullback. “Jum” became regarded as one of the best fullbacks in the world. He gained an international cap for the All Blacks in 1905 in which the New Zealanders beat Australia 14-5. Hubert had been considered unlucky not to have made the legendary “Originals” British tour, though was nevertheless one of New Zealand’s best players against Australia, but that was to be his only All Black match. Instead of playing an illustrious rugby career as an All Black, Turtill went on to rebel against the New Zealand Rugby union after playing just one test and joined the “dark side” or “Pro-Blacks” as some called them in what became known as the “All Golds”, on their trailblazing and historic tour of Britain. Officially known as the Professional All Blacks, the team was dubbed “All Golds” by an Australian journalist, in a derogatory sense at first, but the name stuck and now appears as an honourable entry in the annals of rugby league football. The tour started in Australia when the All Golds played under rugby union rules and won three matches against New South Wales. The England leg of the tour comprised 35 matches in almost five months. “Jum” played in five of the internationals in Britain and then in 1908 played, as captain, against Australia. It remains, after 100 years, one of the most, if not the most audacious and spectacularly successful pioneering sporting adventures of any New Zealand sports team. “Jum” Turtill embraced a game most of them had never seen, let alone play. He set out not even being familiar with the rules. At the end of his 49-match, 10-month long tour he had test series wins over both Great Britain and Australia and earned the right to regard himself as being a part of the first world champions in the fledgling code to become known as rugby league. Because of the friends he had made in the town during the tour, “Jum” then settled in St Helens, Lancashire, in 1909 with his wife, Mabel Edith (née Hancock) formerly of Christchurch and his young son Alan, where he was the popular pub landlord of the Nelson Hotel in Bridge Street, St Helens. He joined the famous Lancashire club, St Helens, for whom he played until the outbreak of World War I. During World War I he saw action at Hellencourt and Bretencourt, before the first battle of the Somme. Names like Guillemont, Ginchy, Ribemont, Flers-Courcelette and Morval and the Ypres salient became home for “Jum” while he struggled to exist in the muddy trenches surrounded by enemy on three sides and under constant artillery fire. After somehow surviving the battles of Pilkem Ridge and Menin Road Ridge he was killed at Givenchy by shrapnel from a shell burst – probably instantly. He was 38 years old. The Defence of Givenchy was to become one of the single most famous actions of the war. It was afterwards publicly stated by an officer of the German General Staff that the stand made there by the British on April 9th and the days which followed marked the final ruination of the supreme German effort of 1918. Hubert “Jum” Turtill is buried at Brown’s Road Cemetery, near Festubert, France. His wife and son soon moved back to New Zealand. His son, Alan, lost his life in WW2 in Libya, North Africa aged 32. He was a Captain with the 21st Battalion New Zealand Infantry. His father would have been no doubt very proud of him as would his son have been of his father. A capable fullback in the first decade of the 20th century for Canterbury, Hubert (or as he was always known, “Jum”) Turtill was one of the first of New Zealand’s leading players to switch to the new code of rugby league, or Northern union as it was known then. From the Christchurch club [Albion Football Club] Turtill played 18 matches for Canterbury between 1902 and 1905 and was in the South Island side in each of the 1903 and 1907 seasons. After appearing for a combined Canterbury and South Canterbury selection against the touring Australians in 1905 Turtill was included in the New Zealand team for the only international in Dunedin. Though New Zealand’s leading players were by this time on their way to Britain for what became celebrated as the “Originals” tour the match in Dunedin has always carried full test status. Despite being heavily depleted the New Zealanders beat Australia in that match 14-5. Turtill, who had been considered unlucky not to have made the British tour, was one of New Zealand’s best players against Australia, but that was to be his only All Black match. After the 1907 interisland match he joined the “rebel” side, which was to be known as the “All Golds”, on their trailblazing and historic tour of Britain. He played in five of the internationals in Britain and then in 1908 played, as captain, against Australia. Turtill had been born in England and his nickname, Jum, was bestowed on him while he was coming by ship to New Zealand in 1884 with his family. As a child he was somewhat plump and Jum came from the common nickname for an elephant, Jumbo. But Turtill soon shed his baby fat and as a footballer had a fine, athletic build. He confirmed his switch to league in 1909 by joining the famous Lancashire club, St Helen’s, for whom he played until the outbreak of World War I, in which he was to lose his life while serving with the British armed forces in France. Profile by Lindsay Knight for the New Zealand Rugby Museum. Turtill did not score any points for the All Blacks. Grave Reference: IV. D. 6. Hubert Turtill was born in Mile End, London in 1880. When he was just four years old his parents sailed to New Zealand for reasons unknown. His nickname, “Jum”, was bestowed on him while he was on the trip. As a child he was somewhat plump and Jum came from the common nickname for an elephant, Jumbo. But Turtill soon shed his baby fat and as a footballer had a fine, athletic build. Turtill returned to England, his country of birth, in 1909 with his wife, Mabel Edith (née Hancock) formerly of Christchurch and his young son Alan. There he joined the famous Lancashire club, St Helens, for whom he played until the outbreak of World War I. His profession was listed as a hardware merchant’s employee/licensee. Being a Lancashire lad now, Turtill wasted no time in heading off to fight the Germans. It is clear that owing to him having two service numbers, the first being T6959 and the second being 426516, he was part of the early Territorial Force (TF) Field Company – the 422nd Coy which in November 1915 was merged into the 55th 2nd West Lancashire Division. Turtill was a Royal Engineer. The REs were responsible for all manner of technical support such as establishing coordinates for ground fire, delivering chemical warfare, underground mining and transport infrastructure. It is likely that Turtill fought in France as early as October 1915 before the formation of the 55th Division in November 1915 when his service number was changed to 426516. The 55th Division saw action at Hellencourt and Bretencourt, before the first battle of the Somme took place. Names like Guillemont, Ginchy, Ribemont, Flers-Courcelette and Morval became home for Turtill while he struggled to exist in the muddy trenches. Then in 1917 he travelled up to the Ypres salient where he would remain for most of the first half of the year and had a comparatively quiet time, if being surrounded by enemy on three sides and under constant artillery fire could be described as quiet. After somehow surviving the battles of Pilkem Ridge and Menin Road Ridge, Turtill was relieved by the 39th Division and travelled south to an area near Cambrai where he would witness a massive tank attack by the Germans. It was now 30th November 1917. The British practically melted away in the onslaught and Turtill was removed for further training at Bomy, near Fruges. In February 1918, Turtill’s 55th Division relieved the 42nd (East Lancashires) in the front line at Givenchy and Festubert. Here he faced numerous strong enemy raids in March. Early April was much quieter: it was the calm before storm – the great German spring offensive! The Battle of Estaires and the defence of Givenchy began on 9th April. All we know about Turtill is that he was killed by shrapnel from a shell burst – probably instantly. He was 38 years old. The Defence of Givenchy was to become the single most famous action that the Division fought. “It was afterwards publicly stated by an officer of the German General Staff that the stand made by the Division on April 9th and the days which followed marked the final ruination of the supreme German effort of 1918”. Hubert Turtill is buried at Brown’s Road Cemetery, near Festubert, France. His wife and son soon moved back to New Zealand. His son, Alan, lost his life in WW2 in Libya, North Africa aged 32. He was a Captain with the 21st Battalion New Zealand Infantry. His father would have been no doubt very proud of him, as would his son have been of his father. Secret buyers pay $89,000 for AB jersey. Fullback Hubert Sydney “Jum” Turtill earned his solitary cap in the garment, against Australia at Tahuna Park in Dunedin [on Saturday 2 September 1905]. New Zealand won 14-3 in heavy rain. Turtill would later play on the Old Golds tour of England in 1907 in the code which was to become league. He was one of 13 All Blacks to die in World War I. Turtill was stationed in France on the Western Front but lost his life on April 9, 1918, aged 38. Greg Dyer, an agent for CSM sports and entertainment, managed the bid via phone last week. The consortium is understood to include some of Turtill’s fellow All Blacks from a more recent vintage. They are expected to reveal themselves when the jersey returns home. Dyer won the auction against a 300-strong audience, 32 online bidders and 11 others. “It’s a bit of a nerve-racking thing to go through, especially when you’re spending that amount of money on a rugby jersey”, Dyer says. “Those final moments were pretty hard to stomach but once the hammer came down, and I knew we were successful, man, it was a massive relief”. The champagne was flowing among the consortium as a result, but attention has turned to how the rugby taonga will be revered. “It’ll be going on display”, Dyer says. “The public will have a chance to have a look at this piece of New Zealand rugby history. There are certainly plans for it to be put in an exhibition, perhaps at some rugby institution”. Originally estimates thought the final investment might be between $55,000 and $75,000. Dyer says they were willing to pay over the odds for what is part of New Zealand rugby’s historical fabric. “It’s not often you get the opportunity to bring home to New Zealand a massive piece of our rugby culture and history. We weren’t going to baulk at paying an extra couple of thousand bucks”. Born in London in 1880, Turtill moved to New Zealand as a child with his family and settled in Christchurch, where he fell in love with rugby and also excelled in swimming and shooting. The “Jum” moniker was short for “Jumbo”, because he was a big child. After the All Golds tour Turtill married Mabel and worked as a sheet metal worker. The next year he lost his job but signed to play league at St Helens in Lancashire. Turtill also set himself up as a tobacconist, before working as a publican before war broke out when he joined the Royal Engineers. He was survived by three sons. Source: Andrew Alderson, New Zealand Herald Friday 8 March 2019, p. B3. The jersey vendors were Turtill's great-grandsons. Born 7 July 1909 at Biggleswade, Bedfordshire, England. Married in New Zealand in 1937 JOAN DOUGLAS WHITE, born 12 April 1908 at Auckland, daughter of Robert White and Ida Mary Jenner Kennett (1887-1959); died 28 October 2002 at Baulkham Hills, Sydney, NSW, Australia. Died (killed in action) on 29 November 1941 in the Western Desert, Libya. One child: Susan Elizabeth Turtill, born 1940 Ulverston, Lancashire, England. Grave Reference: 6. F. 23. Biographical Notes: Son of Sergeant Hubert Sydney Turtill, Royal Engineers (killed in action in France, 9th April, 1918), and of Mabel Edith Turtill (née Hancock) of Takapuna, Auckland, husband of Joan Douglas Turtill (née White) of Cambridge, New Zealand. Brothers Ken (23089) and Alan Turtill (20065) served in WW2. Alan was killed in the war and Ken was a POW. Born 6 May 1912 at Prescot, Lancashire, England. Married in New Zealand in 1938 JEANNE CELIA HAWKINS, born 16 September 1915, died 30 November 2008 at Motueka, Nelson-Marlborough. Died 10 March 1979 at Auckland, New Zealand. Born 20 February 1914 at Prescot, Lancashire, England. Schoolmaster; 1953-1971 Schools Liaison Officer, University of Auckland. Married in 1948 at Auckland MARGARET ISOBEL UPTON, born 14 September 1911 at Glasgow, Lanarkshire, Scotland, died 9 September 1990 at Takapuna, Auckland, daughter of Percy Henry Upton (1874-1960) and Florence Sarah Nihill Pierce (1878-1954), and sister of Eleanor Florence Millett née Upton (13 March 1910-26 November 1973). Died 8 July 2000 at Auckland. Cremated and buried 17 July 2000 at Purewa Cemetery and Crematorium, Meadowbank, Auckland. 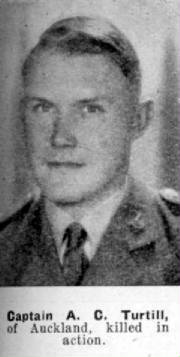 Captain K. S. Turtill was wounded and taken prisoner-of-war at El Mreir, North Africa, on 22 July 1942, released March 1945. Sources: Burdon, R.M. 24 Battalion. Wellington, War History Branch, Dept of Internal Affairs, 1953, p. 118; Scoullar, J. L. Battle for Egypt: the Summer of 1942. Wellington, War History Branch, Dept of Internal Affairs, 1955, p. 344. Biographical Notes: Son of Sergeant Hubert Sydney Turtill, Royal Engineers (killed in action in France, 9th April, 1918), and of Mabel Edith Turtill (née Hancock) of Takapuna, Auckland, husband of Margaret Isobel Turtill (née Upton), whom he married in 1948. Brother Alan Turtill (20065) served in WW2. Alan was killed in the war. Turtill had become Adjutant to Colonel Greville when Captain J Reynolds was wounded at the end of June 1942. Further References: Merry Christmas from the Front. (2006-2007). MQ: the Quarterly Magazine of the Auckland War Memorial Museum no. 109, Summer: December 2006 - February 2007, p. 23-24. Extracts from letters written by Kenneth (1942, 1943) held in the collections of the Auckland War Memorial Museum. Burdon, R. (1959). 24 Battalion. Wellington, Dept. of Internal Affairs, War History Branch. Digital copy URL: http://www.nzetc.org/tm/scholarly/tei-WH2-24Ba.html. List of 2NZEF Prisoners of War, 1941-1945. Auckland War Memorial Museum Library, MS 2009/8. Source: Auckland War memorial Museum Cenotaph Database http://muse.aucklandmuseum.com/databases/Cenotaph/36176.detail?Ordinal=2&c_surname_search=turtill. Lieutenant (temp. Captain) K. S. Turtill (prisoner of war) promoted to be Captain. Dated 26 November 1942. Source: New Zealand, World War II Appointments, Promotions, Transfers and Resignations, 1939-1945. 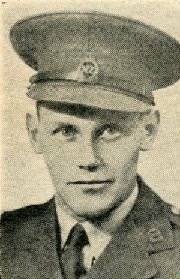 During WW2 Captain Kenneth Sydney Turtill, a school teacher from Hamilton, was a member of Auckland 24 Infantry Battalion. He served in Greece and in the Middle East, spending Christmas 1940 and 1941 in North Africa. On 22 July 1942 Captain Turtill was captured at El Mreir while reconnoitering in the dark. Ken was in Italian POW camps from June 1942-June 1943, and then transported to Germany where he remained a POW until liberated in March 1945. Ken Turtill’s first Christmas overseas was spent in North Africa in 1940; the following Christmas was a sad one for Ken and his mother in Auckland as his brother Alan Cecil Turtill, serving with 21 Infantry Battalion, was killed in action in November 1941. The following Christmas Ken wrote home from a prisoner of war camp in Italy. He was especially concerned that his mother should not worry, and each year wrote that by the following Christmas he would be home. My Dearest Mother, ... I am particularly fit at the moment and waiting anxiously for mail from you and Dulcie. It’s nearly four months since I was captured so there should be some news soon. I want to hear that you are both all right and not worrying too much about me. It seems very queer for us here facing the prospect of Christmas and New Year in jail. In your wildest dreams you never thought you’d see your youngest son in prison in Italy. My Dearest Mother, ... Here, as usual, things are just the same, and the only exciting prospect is the arrival of Christmas in a few days. I think this year poor old Santa Claus is going to have quite a time coming to visit all the chaps in Italy and not forgetting your youngest son ... The Red Cross is giving us a Christmas parcel, I understand which is said to contain a tin of cake and Christmas pudding, so I’ll be fairly well off. Lots of love, Ken. My Dearest Mother, I was very thrilled to get my first letter from you at Christmas. It was a wonderful present, and only took 8 weeks to arrive, being dated Nov 2. We had quite a good Xmas, but fairly cold and the snow is still on the ground and looks like staying. Lots of love, Ken. Source: Merry Christmas from the Front. MQ: Museum Quarterly no. 109, Summer: December 2006-February 2007, p. 23-24. The University of Auckland has announced the establishment of two awards which will commemorate Mr Paul Hancock Turtill who, at the time of his death in a road accident this year, was studying geology at the university. His parents, Mr and Mrs K. S. Turtill, have established the awards of $50 to be made annually to the best student in stage two geology and the student in the same stage most in need of financial assistance. The first awards will be made at the end of 1972. Source: New Zealand Herald 17 November 1971, p. 10 col. E.
Born 10 October 1950 at Takapuna, Auckland. Died (killed in a motor accident) on 13 August 1971 at Te Kauwhata, Waikato. Buried on 17 August 1971 at Purewa Cemetery, Meadowbank, Auckland. 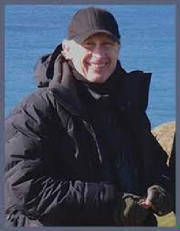 Born 4 December 1952 at Takapuna, Auckland. Film camera operator (with nickname “Turtz”). Married 18 December 1973 in the garden of 268 Hurstmere Road, Takapuna, Auckland SUZANNE DENMOUTH, born 4 September 1949 at Takapuna, divorced 18 May 2007. Died 19 April 2014 at Auckland. Buried on 28 April 2014 at Purewa Cemetery, Meadowbank, Auckland. Born 22 July 1974 at Takapuna, Auckland. Married 12 December 2012 at Maui, Hawaii ALYS ROWE, born 7 May 1983. 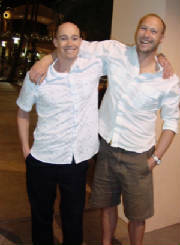 Born 25 May 1976 at Takapuna, Auckland. Married 13 June 2010 at Santa Maria di Castellabate, Salerno, Campania, Italy MARIETTA JANA RATNAJOTHY, born 18 May 1977. (1) FRANCESCA MARGARET TURTILL, born 24 April 2013 in London. (2) IAN RUBEN TURTILL, born 22 February 2015 in London.